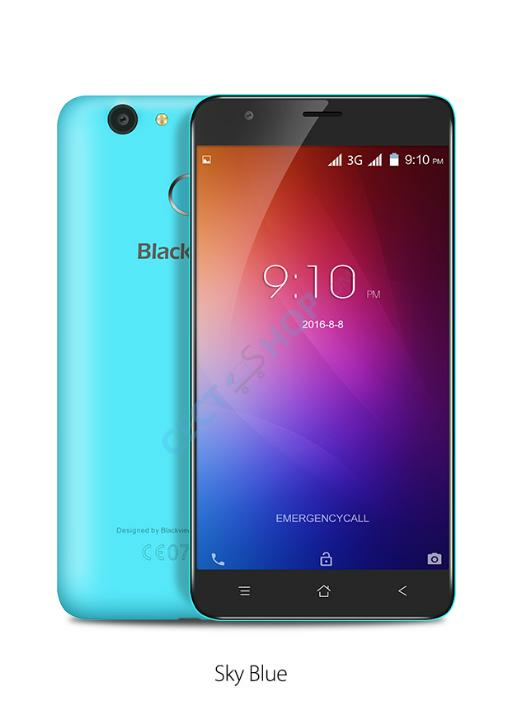 After the Blackview E7 the Chinese manufacturer launches the new Blackview E7s and again aims for first time users or people who need a reliable and affordable second phone! 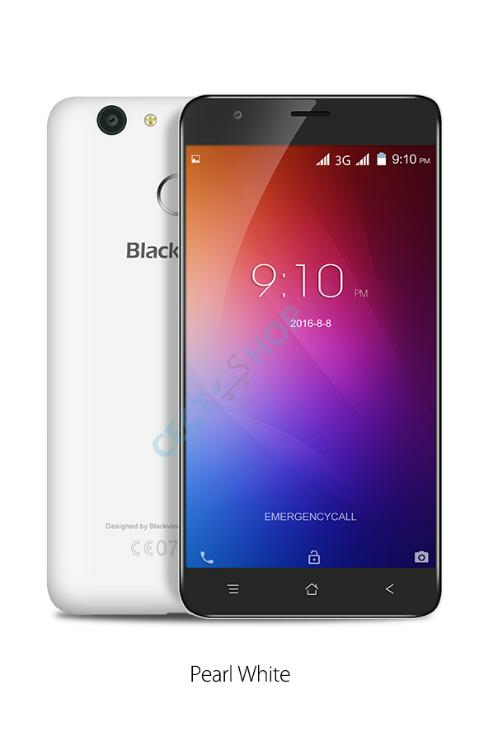 The manufacturer knows exactly how to make cheap and reliable smartphones with good features and quality, which has already been proven on several models, such as the Blackview A6 Ultra or A8. 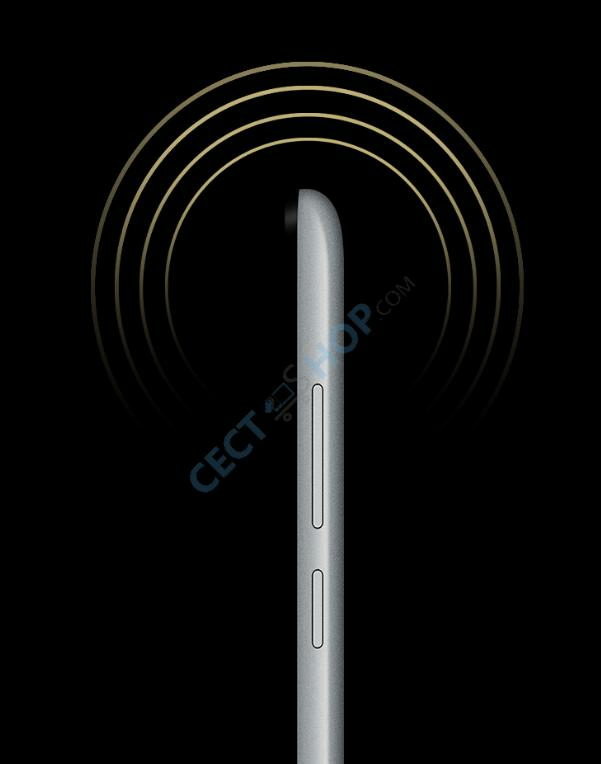 The 5.5 inch device is powered by the MediaTek MT6580A quad-core. Furthermore, the E7s has a memory of 2GB. The internal memory of 16 GB can be expanded by a further 32 GB via separate TF card in just a few steps. 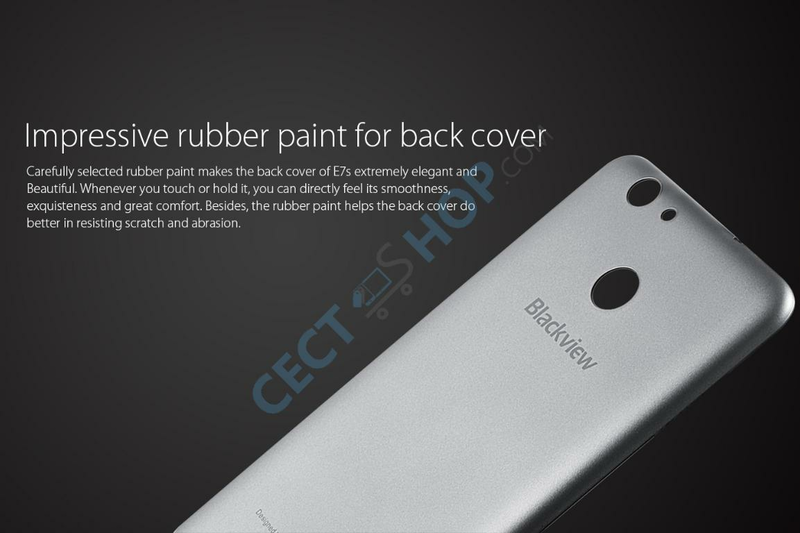 According to the manufacturer an 8MP camera is located on the back. On the front is a 2 megapixel Selfie camera. 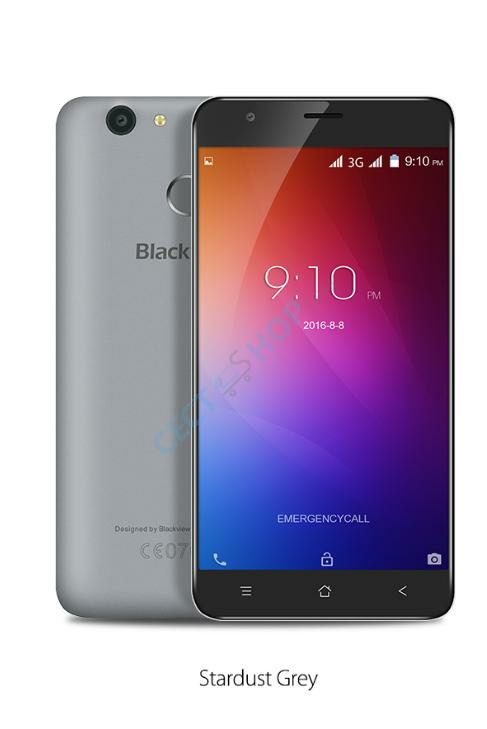 The affordable 5.5-inch budget smartphone has also a fast-reacting touchscreen and a power-saving display. 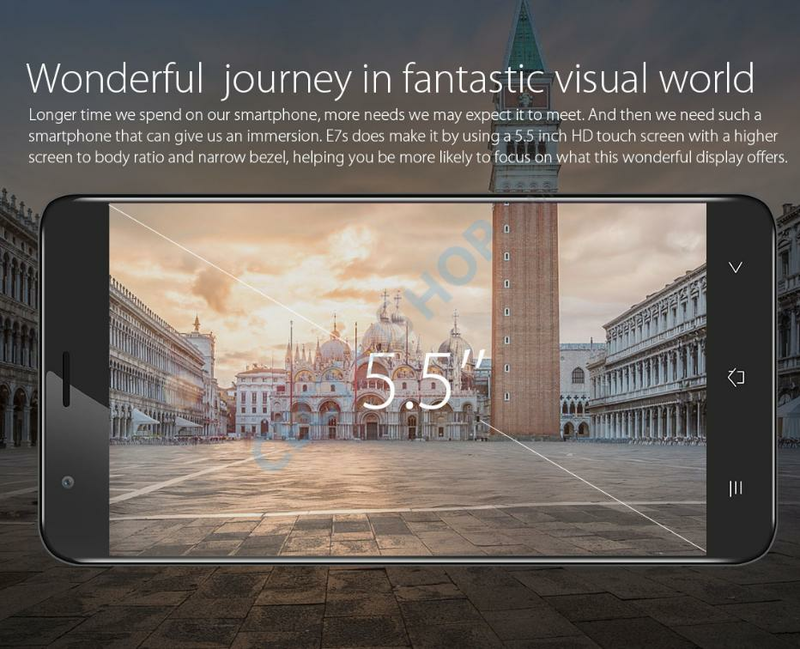 The display has HD resolution with 1280 x 720 pixels. 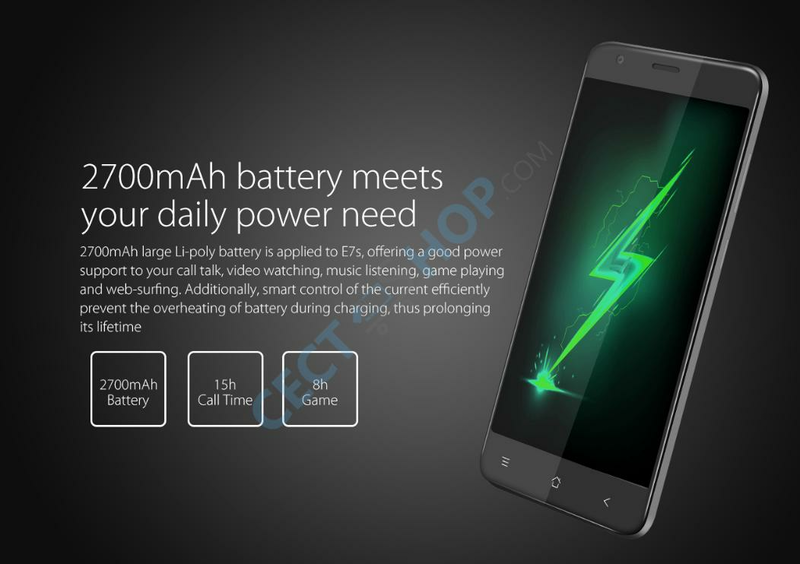 The exchangeable Li-Poly battery has a capacity of 2700mAh and GPS, Bluetooth 4.0 and WLAN are also on board. 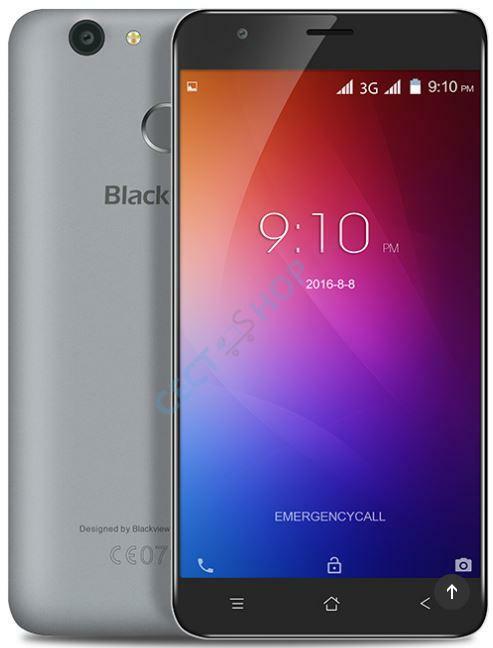 As operating system Android 6.0 is preinstalled on the Blackview E7s. 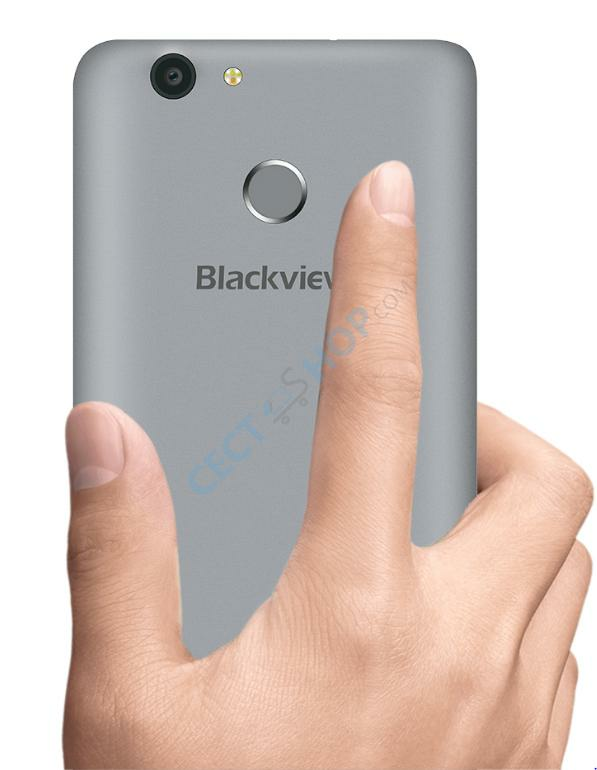 A fingerprint sensor is also located on the back, below the main camera. And Smart Wake gestures are also supported.